Howard brings over 30 years’ accountancy experience to the table, having escaped from Grant Thornton to establish his own boutique practice. He was a Partner at Grant Thornton for over 25 years and left with their full support and agreement, allowing him to continue to act for those clients who wished him to do so. 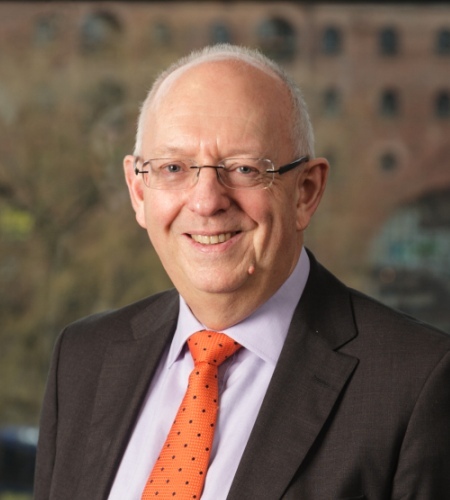 Howard joined Grant Thornton in Liverpool in 1974. He was a member of the firm’s partner selection panel and was the North West Regional Marketing Partner. During his last 4 years led the Special Projects team at the Liverpool office during a period of double digit compound growth. Latterly he was Head of Family Business nationally and Head of Professional Practices in the North West. Howard then moved to London for 3 years before returning to the North West where he led the acquisition and integration of a practice in Warrington and was the Managing Partner of that office for 10 years. He then returned to his native Liverpool in 1992. In 2002 Howard won the CBI’s national award as “Best Business Adviser” having been shortlisted in 2001. Howard is a regular contributor to both the broadcast and print media and speaks regularly at seminars and conferences, in particular presenting a number of Webinars for the Law Society. As a special adviser to family firms and legal practices and not involved in compliance work, always happy to build networks and refer to appropriate organisations to do this work where required.